As I understand the problem, it can be hard to quantify water in buildings, particularly water hidden inside of the structure itself. By the time visible manifestations of water (e.g. 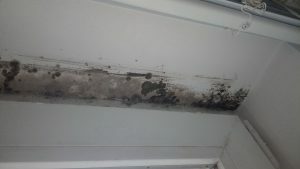 mold) are apparent it’s too late. 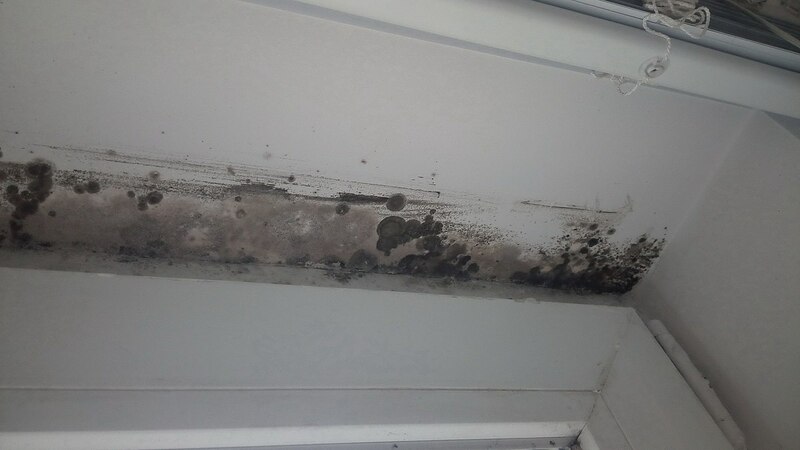 Also, water is a requirement for microbial growth but typical microbiome studies only measure relative humidity in the air which may not be representative of the local micro-habitats around the building. Excess water in all its forms (moisture, dampness, hidden water) in buildings negatively impacts occupant health but is hard to reliably detect and quantify. Recent advances in through-wall imaging recommend microwaves as a tool with a high potential to noninvasively detect and quantify water throughout buildings. Microwaves in both transmission and reflection (radar) modes were used to perform a simple demonstration of the detection of water both on and hidden within building materials. We used both transmission and reflection modes to detect as little as 1 mL of water between two 7 cm thicknesses of concrete. The reflection mode was also used to detect 1 mL of water on a metal surface. We observed oscillations in transmitted and reflected microwave amplitude as a function of microwave wavelength and water layer thickness, which we attribute to thin-film interference effects. Improving the detection of water in buildings could help design, maintenance, and remediation become more efficient and effective and perhaps increase the value of microbiome sequence data. Microwave characterization of all forms of water throughout buildings is possible; its practical development would require new collaborations among microwave physicists or engineers, architects, building engineers, remediation practitioners, epidemiologists, and microbiologists.